The Windham PTA along with the G.E.A.R Parent Network hosted a free lecture by Dr. Ross Greene, an internationally renowned child psychologist and creator of the Collaborative & Proactive Solutions (CPS) model of care. 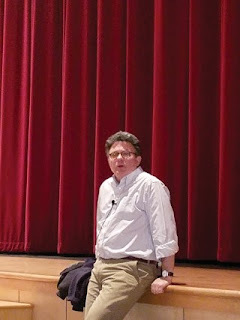 The presentation was held on Monday evening, April 2 at Windham High School’s Performing Arts Center. Over 220 parents, caregivers, youth and educators of children with behavioral and mental health needs were present to gain a better understanding of Greene’s approach. Greene was on the faculty at Harvard Medical School for over 20 years and is now the founding director of the non-profit Lives in the Balance, based in Portland, which provides free, web-based resources on the CPS model. He has appeared in a wide range of media, including The Oprah Show, Good Morning America, The Morning Show, National Public Radio and the Boston Globe to name a few and is the author of “The Explosive Child”, “Lost at School”, “Lost & Found” and “Raising Human Beings”. The 1½ hour lecture followed by a fifteen-minute question and answer session came with no PowerPoint presentation or bells and whistles of any kind. It was a laid back and yet captivating discussion regarding the CPS approach and how it improves the way children with behavioral challenges can be better understood and treated as well as how to solve problems while teaching valuable life skills, and how to improve parent-child communication gaps and brainstorm solutions. The unlucky child who lacks the skills to communicate his/her needs will scream, swear, hit, kick, destroy, injure self and endanger others’ lives. These ways of communicating will get the child hit, locked up, or put in a padded room, all simply because they lack the skills to communicate that they are struggling in ways that are more adaptive. Greene, however, did not start out his career approaching unlucky children with the CPS method. “When I began in my role as a staff member on an inpatient psychiatric unit in 1978, I was trained to restrain kids,” recalled Greene. “I was instructed to whisper into his ear, ‘If you don’t calm down you will get a shot.’ That threat never calmed them down. They always got the shot. This self-reflective question got the ball rolling towards the concept of the CPS model. Although it took many years to reach the final CPS model of care, Greene credits his study during graduate school of Walter Mischel, a psychologist who wrote extensively about frustration tolerance and delay of gratification. During his development of the CPS model, Greene also relied on research showing that behaviorally challenging kids lack the skills to handle frustration adaptively, solve problems and be flexible. 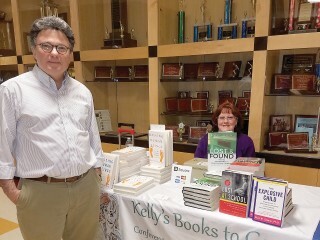 “The lecture was very well received, and many parents feel they have a few more tools in their tool belts to better care for their ‘unlucky’ kiddo,” stated Amander Wotten, PTA President. One such parent was Anne Schink of South Portland. “Without a doubt, he was excellent, offering practical information” stated Schink. Schink’s oldest daughter who is now an adult living on her own would have been classified “unlucky” in terms of communicating her needs. Dr. Greene lectures and consults widely throughout the world and lives in Portland, Maine. For more information about the CPS model, go to the Lives in the Balance website at www.livesinthebalance.org.